Being one of the 12 Jotirlingas of Shiva, based approximately 3500 feet high up in the hills its also a part of Bhimashnakar Wild Life Sanctuary. 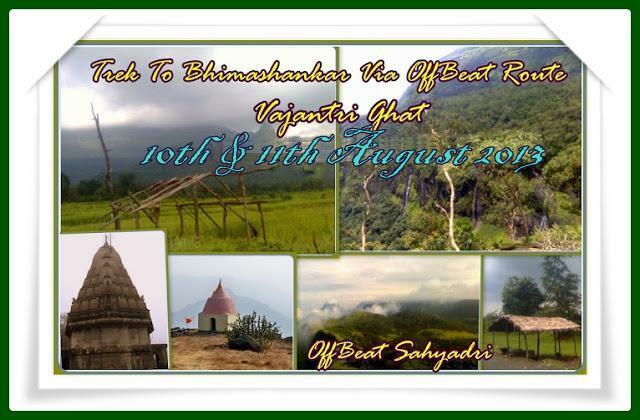 Bhimashankar is Surrounded by thickest evergreen forest providing the best chances to study natures diversity. Though small (spread over 100sq km’s) the sanctuary is home to a wide variety of animals Leopard, Sambar, Barking deer, Porcupines, Grey Jungle fowls, Wild pig, Hanuman langur, Rhesus macaque and Flying Squirrel etc. Its also the best sighting place for the state animal of Maharashtra the Indian Giant Squirrel – “Shekharu” (Ratufa indica elphistoni) which falls under highly endangered subspecies. Shiva Temple : Approximately 1200 – 1400 years old, the temple of Bhimashnakar is built in Hemad Panthi style. Decorated with beautiful sculptures and paintings on the roof and pillars., it showcases hindu gods and goddesses. A huge metal bell hangs in the front of the temple.besides it there is a huge Stone carved “Deepmala” or lamppost. The Bhima River, as known as Chandraprabha at Pandharpur originates at Bhimashankar. Gupt Bhimashankar : at about 25-30 minutes distance from the temple there is a water stream going through the jungle. In the water steam itself there are well carved group of shiv Pindies. As the pindies remain submerged in water this place is called as Gupta Bhimashnakar. Nagphani : Near the Hanuman temple this is the highest point on Bhimashnakar. One can enjoy a breath taking view of konkan region. Padargad, Peth , Siddhagad are well observed from here. At suitable climatic conditions one can have an “Above the cloud” experience there. As the clouds fill the valley below and we stand on the Naghphani point which is above the level of clouds. The itinerary for the trek is as given below. ndividuality. They should be prepared to share and care. That makes and all the physical and mental exhaustion forgettable and the trek itself becomes unforgettable! Trust us on this.